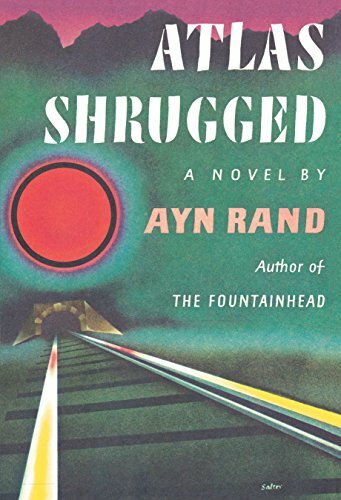 Ayn Rand held that art is a “re-creation of reality according to an artist’s metaphysical value judgments.” By its nature, therefore, a novel (like a statue or a symphony) does not require or tolerate an explanatory preface; it is a self-contained universe, aloof from commentary, beckoning the reader to enter, perceive, respond. Ayn Rand would never have approved of a didactic (or laudatory) introduction to her book, and I have no intention of flouting her wishes. Instead, I am going to give her the floor. I am going to let you in on some of the thinking she did as she was preparing to write Atlas Shrugged. Before starting a novel, Ayn Rand wrote voluminously in her journals about its theme, plot, and characters. She wrote not for any audience, but strictly for herself—that is, for the clarity of her own understanding. 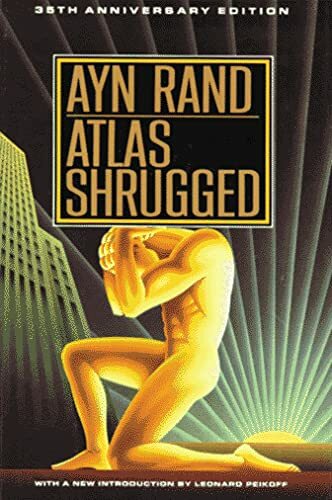 The journals dealing with Atlas Shrugged are powerful examples of her mind in action, confident even when groping, purposeful even when stymied, luminously eloquent even though wholly unedited. These journals are also a fascinating record of the step-by-step birth of an immortal work of art. 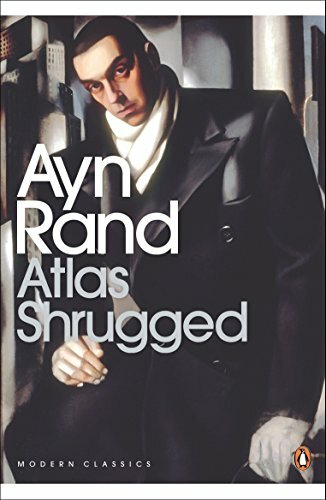 In due course, all of Ayn Rand’s writings will be published. 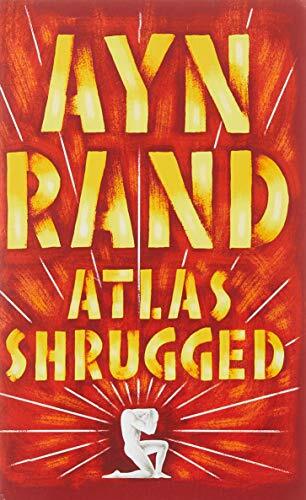 For this 35th anniversary edition of Atlas Shrugged,however, I have selected, as a kind of advance bonus for her fans, four typical journal entries. Let me warn new readers that the passages reveal the plot and will spoil the book for anyone who reads them before knowing the story. The earliest of Miss Rand’s notes for “The Strike” are dated January 1, 1945, about a year after the publication ofThe Fountainhead. Naturally enough, the subject on her mind was how to differentiate the present novel from its predecessor. Theme. What happens to the world when the Prime Movers go on strike. This means—a picture of the world with its motor cut off. Show: what, how, why. The specific steps and incidents—in terms of persons, their spirits, motives, psychology and actions—and, secondarily, proceeding from persons, in terms of history, society and the world. The theme requires: to show who are the prime movers and why, how they function. Who are their enemies and why, what are the motives behind the hatred for and the enslavement of the prime movers; the nature of the obstacles placed in their way, and the reasons for it. This last paragraph is contained entirely in The Fountainhead. Roark and Toohey are the complete statement of it. Therefore, this is not the direct theme of The Strike—but it is part of the theme and must be kept in mind, stated again (though briefly) to have the theme clear and complete. First question to decide is on whom the emphasis must be placed—on the prime movers, the parasites or the world. The answer is: The world. The story must be primarily a picture of the whole. In this sense, The Strike is to be much more a “social” novel than The Fountainhead. The Fountainhead was about “individualism and collectivism within man’s soul”; it showed the nature and function of the creator and the second-hander. The primary concern there was with Roark and Toohey—showing what they are. The rest of the characters were variations of the theme of the relation of the ego to others—mixtures of the two extremes, the two poles: Roark and Toohey. The primary concern of the story was the characters, the people as such—their natures. Their relations to each other—which is society, men in relation to men—were secondary, an unavoidable, direct consequence of Roark set against Toohey. But it was not the theme. Now, it is this relation that must be the theme. Therefore, the personal becomes secondary. That is, the personal is necessary only to the extent needed to make the relationships clear. 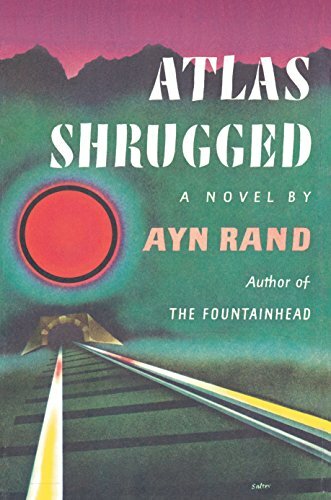 In The Fountainhead I showed that Roark moves the world—that the Keatings feed upon him and hate him for it, while the Tooheys are out consciously to destroy him. But the theme was Roark—not Roark’s relation to the world. Now it will be the relation. In other words, I must show in what concrete, specific way the world is moved by the creators. Exactly how do the second-handers live on the creators. Both in spiritual matters—and (most particularly) in concrete, physical events. (Concentrate on the concrete, physical events—but don’t forget to keep in mind at all times how the physical proceeds from the spiritual.) . . . However, for the purpose of this story, I do not start by showing how the second-handers live on the prime movers in actual, everyday reality—nor do I start by showing a normal world. (That comes in only in necessary retrospect, or flashback, or by implication in the events themselves.) I start with the fantastic premise of the prime movers going on strike. This is the actual heart and center of the novel. A distinction carefully to be observed here: I do not set out to glorify the prime mover (that was The Fountainhead). I set out to show how desperately the world needs prime movers, and how viciously it treats them. And I show it on a hypothetical case—what happens to the world without them. Her error—and the cause of her refusal to join the strike—is over-optimism and over-confidence (particularly this last). Over-optimism—in that she thinks men are better than they are, she doesn’t really understand them and is generous about it. On these two points, Dagny is committing an important (but excusable and understandable) error in thinking, the kind of error individualists and creators often make. It is an error proceeding from the best in their nature and from a proper principle, but this principle is misapplied. . . . The error is this: it is proper for a creator to be optimistic, in the deepest, most basic sense, since the creator believes in a benevolent universe and functions on that premise. But it is an error to extend that optimism to other specificmen. First, it’s not necessary, the creator’s life and the nature of the universe do not require it, his life does not depend on others. Second, man is a being with free will; therefore, each man is potentially good or evil, and it’s up to him and only to him (through his reasoning mind) to decide which he wants to be. The decision will affect only him; it is not (and cannot and should not be) the primary concern of any other human being. Therefore, while a creator does and must worship Man (which means his own highest potentiality; which is his natural self-reverence), he must not make the mistake of thinking that this means the necessity to worship Mankind(as a collective). These are two entirely different conceptions, with entirely—(immensely and diametrically opposed)—different consequences. It should not matter to a creator whether anyone or a million or all the men around him fall short of the ideal of Man; let him live up to that ideal himself; this is all the “optimism” about Man that he needs. But this is a hard and subtle thing to realize—and it would be natural for Dagny always to make the mistake of believing others are better than they really are (or will become better, or she will teach them to become better or, actually, she so desperately wantsthem to be better)—and to be tied to the world by that hope. It is proper for a creator to have an unlimited confidence in himself and his ability, to feel certain that he can get anything he wishes out of life, that he can accomplish anything he decides to accomplish, and that it’s up to him to do it. (He feels it because he is a man of reason . . .) [But] here is what he must keep clearly in mind: it is true that a creator can accomplish anything he wishes—if he functions according to the nature of man, the universe and his own proper morality, that is, if he does not place his wish primarily within others and does not attempt or desire anything that is of a collective nature, anything that concerns others primarily or requires primarily the exercise of the will of others. (This would be an immoral desire or attempt, contrary to his nature as a creator.) If he attempts that, he is out of a creator’s province and in that of the collectivist and the second-hander. Therefore, he must never feel confident that he can do anything whatever to, by or through others. (He can’t—and he shouldn’t even wish to try it—and the mere attempt is improper.) He must not think that he can . . . somehow transfer his energy and his intelligence to them and make them fit for his purposes in that way. He must face other men as they are, recognizing them as essentially independent entities, by nature, and beyond his primary influence; [he must] deal with them only on his own, independent terms, deal with such as he judges can fit his purpose or live up to his standards (by themselves and of their own will, independently of him) and expect nothing from the others. . . .
Now, in Dagny’s case, her desperate desire is to run Taggart Transcontinental. She sees that there are no men suited to her purpose around her, no men of ability, independence and competence. She thinks she can run it with others, with the incompetent and the parasites, either by training them or merely by treating them as robots who will take her orders and function without personal initiative or responsibility; with herself, in effect, being the spark of initiative, the bearer of responsibility for a whole collective. This can’t be done. This is her crucial error. This is where she fails. For Dagny—the ideal. The answer to her two quests: the man of genius and the man she loves. The first quest is expressed in her search for the inventor of the engine. The second—her growing conviction that she will never be in love . . .
For Rearden—the friend. The kind of understanding and appreciation he has always wanted and did not know he wanted (or he thought he had it—he tried to find it in those around him, to get it from his wife, his mother, brother and sister). For Francisco d’Anconia—the aristocrat. The only man who represents a challenge and a stimulant—almost the “proper kind” of audience, worthy of stunning for the sheer joy and color of life. For Danneskjöld—the anchor. The only man who represents land and roots to a restless, reckless wanderer, like the goal of a struggle, the port at the end of a fierce sea-voyage—the only man he can respect. For the Composer—the inspiration and the perfect audience. For the Philosopher—the embodiment of his abstractions. For Father Amadeus—the source of his conflict. 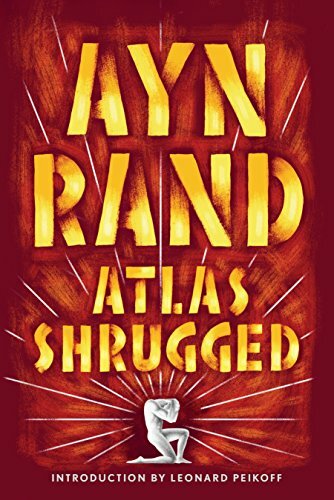 The uneasy realization that Galt is the end of his endeavors, the man of virtue, the perfect man—and that his means do not fit this end (and that he is destroying this, his ideal, for the sake of those who are evil). To James Taggart—the eternal threat. The secret dread. The reproach. The guilt (his own guilt). He has no specific tie-in with Galt—but he has that constant, causeless, unnamed, hysterical fear. And he recognizes it when he hears Galt’s broadcast and when he sees Galt in person for the first time. To the Professor—his conscience. The reproach and reminder. The ghost that haunts him through everything he does, without a moment’s peace. The thing that says: “No” to his whole life. Some notes on the above: Rearden’s sister, Stacy, was a minor character later cut from the novel. “Francisco” was spelled “Francesco” in these early years, while Danneskjöld’s first name at this point was Ivar, presumably after Ivar Kreuger, the Swedish “match king,” who was the real-life model of Bjorn Faulkner in Night of January 16th. Father Amadeus was Taggart’s priest, to whom he confessed his sins. The priest was supposed to be a positive character, honestly devoted to the good but practicing consistently the morality of mercy. Miss Rand dropped him, she told me, when she found that it was impossible to make such a character convincing. The Professor is Robert Stadler.